Everyone needs to plan on arriving 15 minutes before the ride is scheduled to ROLL OUT behind McDonald’s at the intersection of Rtes. 50 and 210 in Surf City. This will be a ride of approximately 45/35/25 miles according to which version of the route you ride. You are responsible for printing your own copy of the map(s). Do not expect the ride leader to provide any at the start of the ride. If you do not have facilities to accomplish this then email a request to the ride leader to possibly make one for you. Also, note that there are two route maps – the ride leader will announce whether the route will be ridden in the normal or reverse direction prior to ride dependent on the wind. There will be at least three pace groups. The “Need for speed” group riding at a pace above 20 mph, the “Middle of the road” group riding at a pace of 17-20 mph, and the “Fun in the sun” group riding at a pace of 14-16 mph. We regroup at convenient points on the route…no one left behind. Weather varies with the season, so dress in layers or apply sunscreen accordingly, and of course, wear a helmet. Bring plenty of beverage & snacks because much of our riding is in rural areas. First-time guest riders are welcome. If you enjoy the experience, pick up a membership form at a local bike shop or download a membership form from the website. 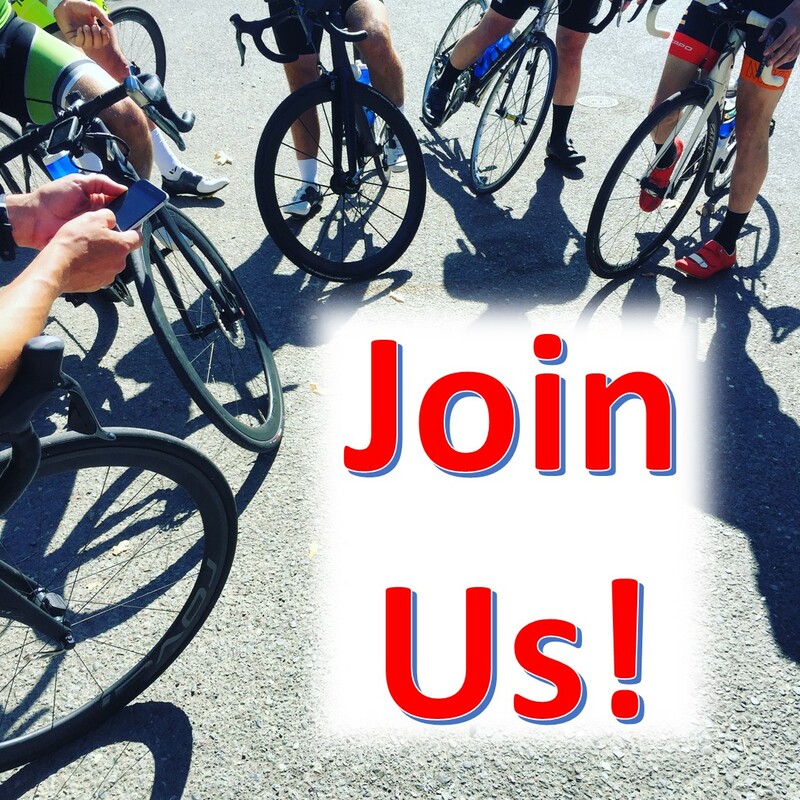 Your membership not only supports the club and cycling advocacy but also extends insurance coverage to you on club rides and entitles you to discounts at local bike shops. If the temperature at start time is below 32 or there is a steady rain, the ride is canceled.